Microsoft (on 17-Dec-2015) announced the CTP 3.2 update of the recently and initially released Community Technology Preview (CTP) 2.x & 3.0 versions of SQL Server 2016. 1. A new Reporting Services web portal is available, with an updated, modern, portal which incorporates KPIs, Mobile Reports and Paginated Reports. 2. 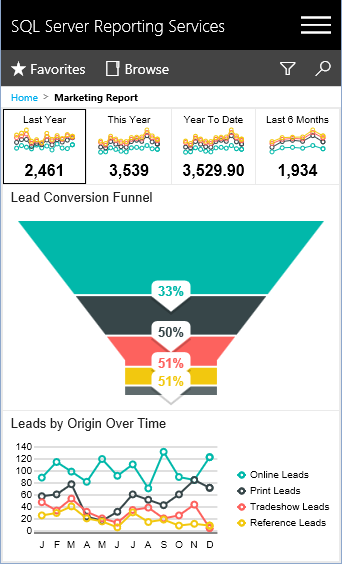 Support for Mobile reports which is based on Datazen technology, optimized for mobile devices and form factors and provide an optimal experience for users accessing BI reports on mobile devices. 3. 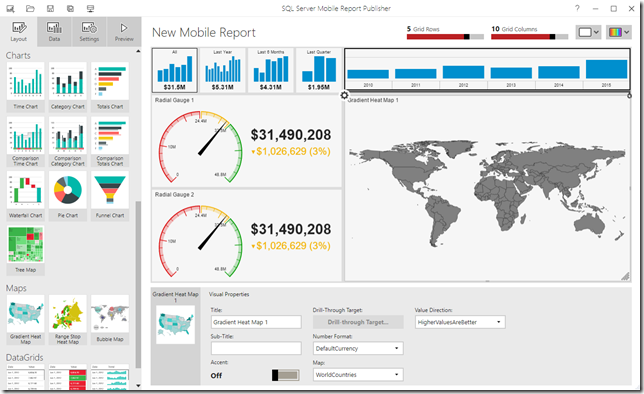 Design mobile reports using SQL Server Mobile Report Publisher. 4. 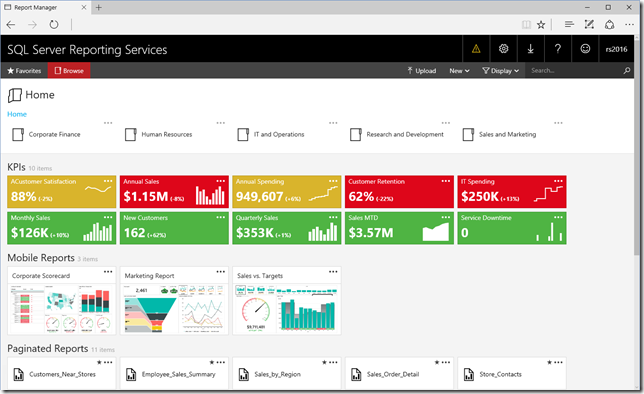 For more enhancements check [the SSRS Blog]. 1. SQL Server Managed Backup to Microsoft Azure uses the new block blob storage for backup files instead of page blobs. Block blobs have a size limitation of 200GB per blob, whereas page blobs have a size limitation per blob of 1 TB. 2. JSON support now includes the WITHOUT_ARRAY_WRAPPER option, to remove the square brackets that surround the JSON output of the FOR JSON clause by default. 3. With Stretch Database you can specify a predicate to select rows to archive from a table that contains both historical and current data, by using the ALTER TABLE statement. – You can also unmigrate the data that Stretch Database has migrated to Azure. – You can now use a federated service account for SQL Server to communicate with the remote Azure SQL Database server when certain conditions are true, by using ALTER DATABASE statement. 4. Analysis Services (SSAS), new functionality for Tabular models at the 1200 compatibility level, including the first wave of JSON scripting in SSMS, DirectQuery, Calculated Tables in SSDT, and other smaller enhancements that add up to a better model design experience. 5. Integration Services (SSIS), enhancements include HDFS-to-HDFS copy support, as well as Hadoop connectivity improvements, including ARVO file format support and Kerberos authentication support. I’ve covered very few and important points here, you can check all the updates here in [SQL Server blog for CTP 3.2] with details. For all these new features released in SQL Server 2016, check my blog posts here. Yes you will need to download the latest ISO version, and do an in-place upgrade.